1. 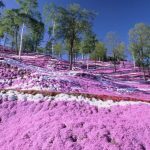 What to See in Hokkaido in November! 3. What to Eat in Hokkaido in November! Hakodate is warmer than most of Hokkaido and gets less snow. It’s the perfect destination for Hokkaido sightseeing in November. There’s less snowfall and the air is clear in November, so you can see a great view of the Hakodate nightscape. 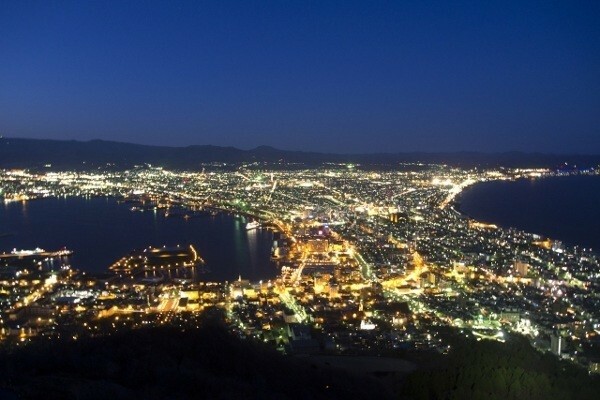 The most popular way to get a view of Hakodate’s nightscape is to take the Hakodate Ropeway up to the mountaintop viewing platform. Keep in mind that the ropeway can close from mid-October until mid-November for maintenance! This is also the season that seafood is at its best in Hakodate. Atka mackerel, palmyra, and a variety of other fish are in season. The Hakodate Morning Market is a great place to enjoy a taste of autumn, but we also recommend going to the Yatai Mura (Food Cart Village) “Hakodate Hikari no Yatai Daimon Yokocho”! The place is full of both tourists and locals all there to enjoy a plethora of cuisines from izakayas and Jingisukan to ethnic and food cart fare. 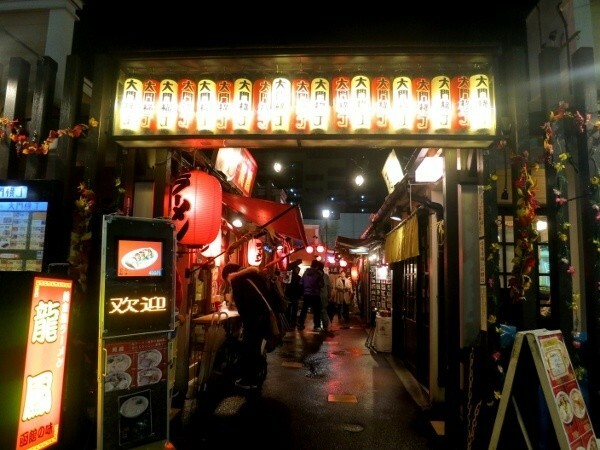 Some shops are even open late, so you can spend a long night enjoying delicious food and drinks. 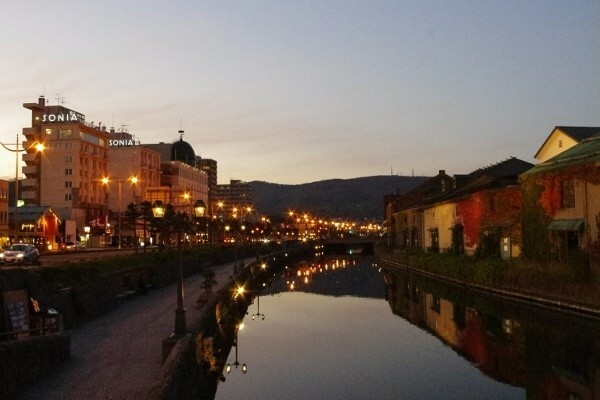 The next place we’d like you to visit is Otaru. 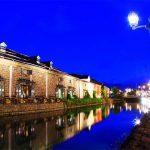 Otaru is a tremendously popular destination for both Japanese and foreign tourists, and serves a large number of people year-round. Especially in December, when there is a lot of snow on the ground, the illumination makes the city all the more beautiful. Otaru is extremely charming covered in deep snow during the full-on snow season, but in November, before the town turns white, it is perfect for its gentle atmosphere. 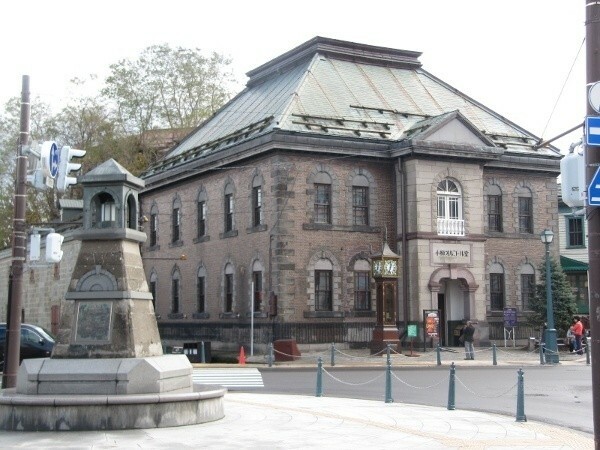 Otaru is well-known for its sushi, kaisendon, and other gourmet seafood, but it is also famous for a number of sake breweries! The nearby town of Yoichi is famous for its whiskey and wine, but Otaru also has its own wineries and beer breweries, not to mention Tanaka and Kikkogura sake breweries! 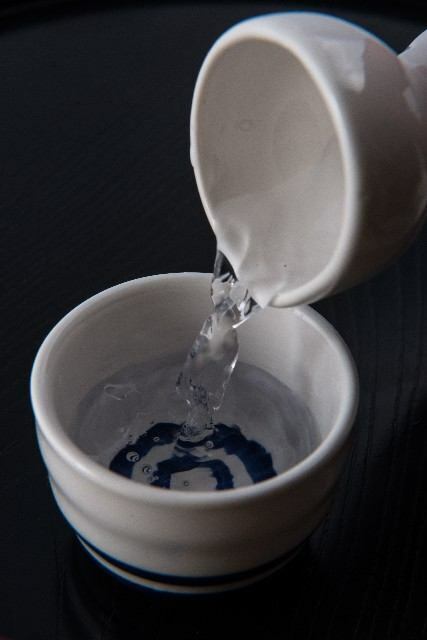 November is the season for fresh sake, so it is worth the trip to try. *Winery Free Tour is available every 30 minutes from 9:30. The last place we’d like you to visit is the Tokachi area. November is right in the middle of the break between the autumn and winter events in Tokachi, but it is for this very reason that it’s a good time to visit. The first place to go is Lake Shikaribetsu . 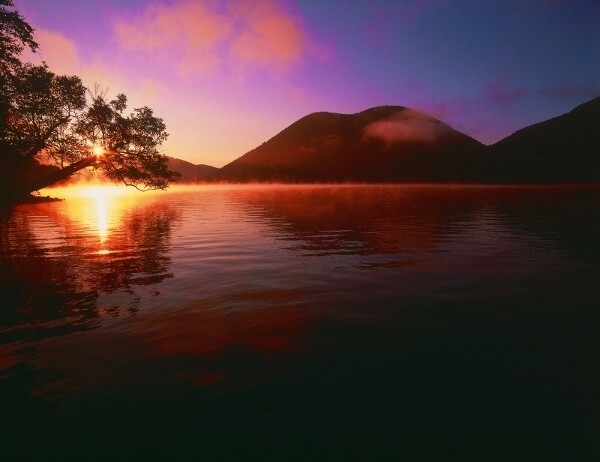 Lake Shikaribetsu is the highest elevated lake in Hokkaido, and has even been chosen as one of the top 100 most secluded places in Japan. It hasn’t been developed as a tourist destination, so it is possible to experience the beauty of nature untouched. Lake Shikaribetsu Onsen (hot springs) is also quite secluded and is worth a visit. The lake is frozen half the year, but you might be able to catch the early stages of this process in mid-November. 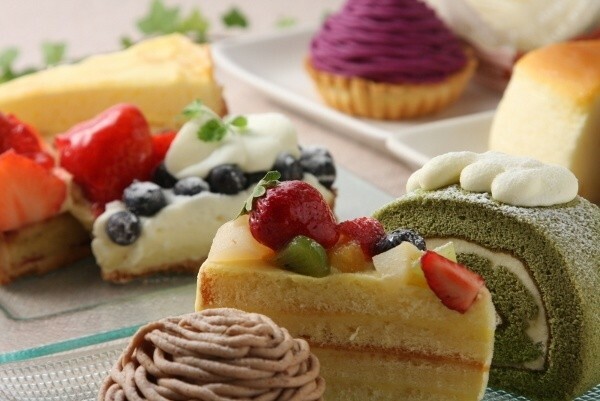 Obihiro, also known as the “Sweets Kingdom”, is a great place to try a variety of desserts. Starting with Obihiro’s main store “Rokkatei” that is so popular with Hokkaido sweets fans, move on to the long line worthy sweet potato shop “Cranberry”. From there go to the up-and-coming “Tokachi Toteppo Factory” and a plethora of other sweets shops. Try to find your favorite! ※You can choose Multiple Language version on the website. Throughout October and November, every region of Hokkaido hosts its own food themed events. But out of all of these locally produced food events, the Abashiri Tarafuku Festival has garnered the most attention in recent years. 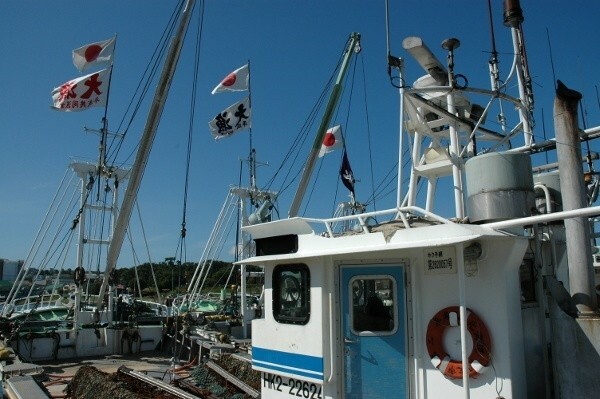 Abashiri is famous for its crab, salmon, palmyra, and other seafood. This event focuses on palmyra (tara in Japanese) and other delights of the Sea of Okhotsk that the November season brings. Chili Palmyra, Korean Palmyra Stew, Palmyra Curry, and many more palmyra based dishes from around the world are available. Kamaboko made with fresh minced fish and cold palmyra dishes also make appearances in full force! Other dishes include the many fruits of the Okhotsk like salmon and salmon roe! Many popular local restaurants also have booths at the event. 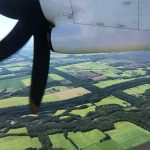 It’s a great way to try everything the Sea of Okhotsk has to offer in one fell swoop. 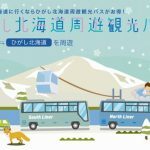 The next recommended event is Asahiyama Zoo’s Winter Exhibits! The Asahiyama Zoo serves a mere 40,000 visitors during the month of November making it the least busy time of year for the zoo. In peak season in August, the zoo has over 230,000 visitors. November is a great time to see all of the zoo’s cute animals at your own pace! 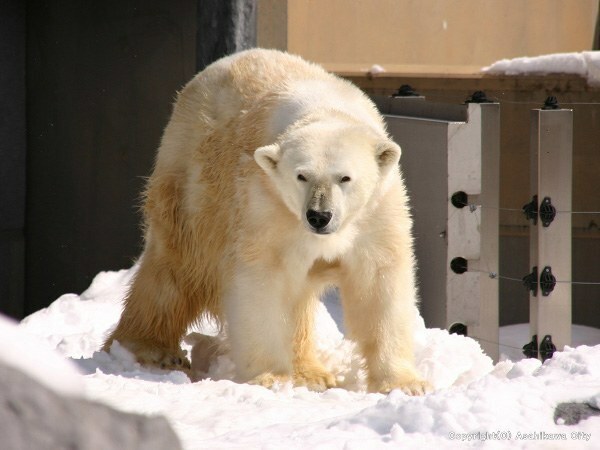 Normally, zoos in places like Asahikawa that experience heavy snowfall close during the winter season, but Asahiyama zoo stays open, and it is a sight to behold during that time! During the snowy season, the polar bears, Siberian tigers, and red pandas are very active. The Flying Penguins are also in good spirits! The operating hours are a little bit shorter than the rest of the year (From the end of April until the beginning of November.) at 10:30 AM – 3:30 PM, so please schedule your visit carefully! Sapporo’s winter starts with the “Sapporo White Illuminations”. It is a long event that starts in the middle of November and goes on until mid-February of the following year. 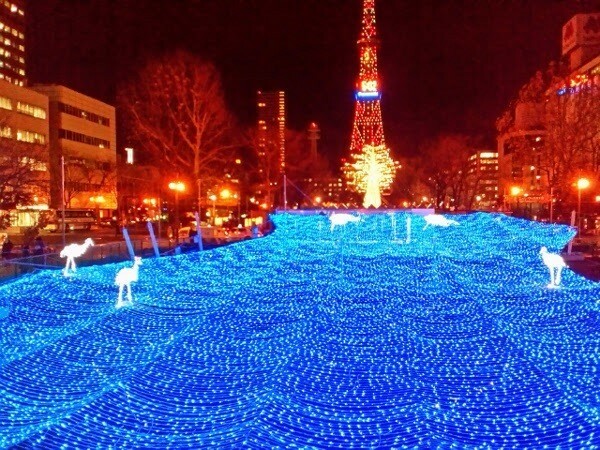 Odori Park is especially packed with illuminated objet d’art until the end of Christmas. The illuminations are popular among both domestic and foreign travelers, so it gets quite crowded in December. If you come near the beginning or the end of the event, you can enjoy the lights without crowds, so November is a great time to visit! 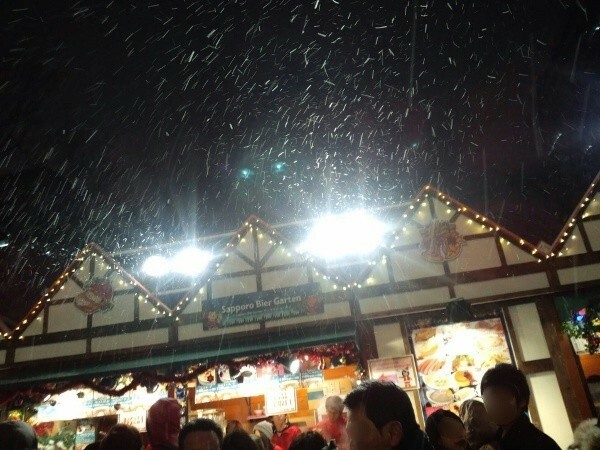 At Odori Park there is also the Munich Christmas Market that is open from the end of November until Christmas Eve. There are a variety of booths serving beer, hot wine, and authentic German cuisine. You can enjoy the German Christmas in Japan! 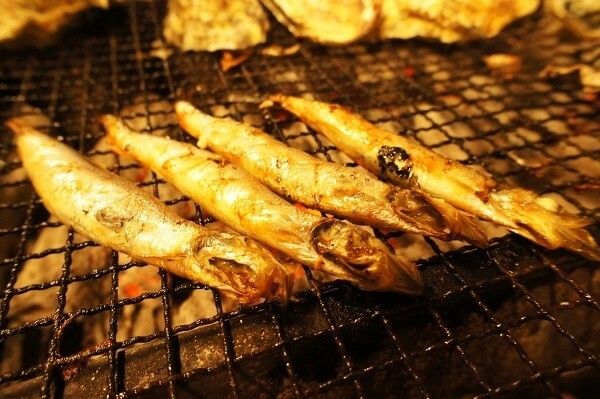 We also wrote about this here, “What to do in Autumn Season Hokkaido in October!“but the shishamo of Hokkaido are definitely worth mentioning again! Domestic Japanese shishamo are only sold in a limited number of supermarkets even in Hokkaido, and they are more than double the price of imported shishamo. But shishamo eaten in season are well worth the price. Most people are quite surprised at how fragrant and flavorful they are! If you visit an izakaya in Sapporo, there is a chance that the menu might have them on it around November, so if you do find some they are definitely worth try it! The next thing we’d like travelers to eat is new rice. “Yumepirika” is probably the most well-known brand of Hokkaido rice. Compared to brands from Honshu, Hokkaido rice has an image of reasonable price. But what most people don’t know is that there is a lot of really good Hokkaido rice that never leaves Hokkaido! This brand of rice is very familiar to Hokkaido natives. It has a slight sweetness, goes well with any side dish, and is even good cold. 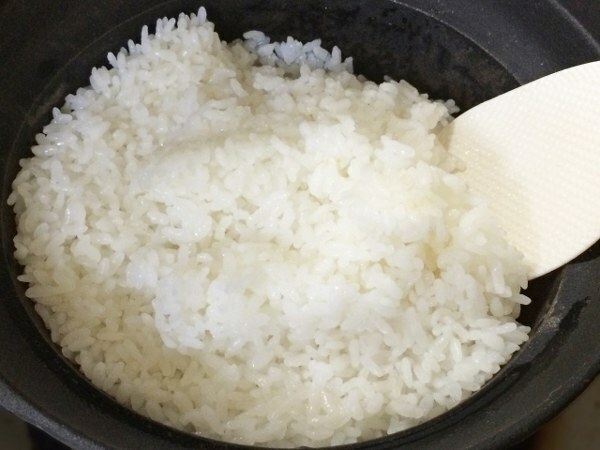 When you see all of the new rice lined up in November, look for this rice and give it a try! 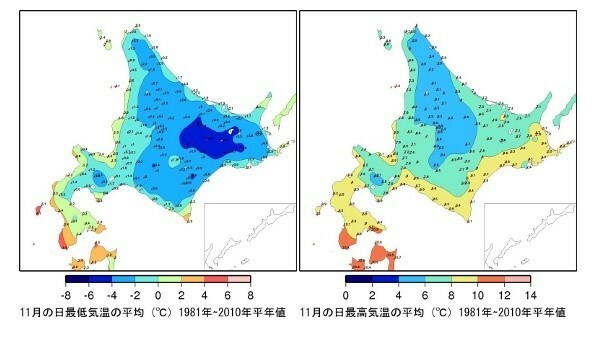 As you can see from the figure above, the weather in Hokkaido during November in that transitional period between autumn and winter can vary from place to place. Places like Hakodate in the southern area can be quite temperate compared to the northern, eastern, and Okhotsk areas that can get very cold, especially in the mornings and evenings. The mountains in November are shedding their autumn colors. The snow doesn’t quite stick until December, so it is better to wait if skiing and winter sports are your thing. The clear autumn weather continues throughout the beginning of November, but the skies slowly start to cloud as the first snows begin to fall. The snow starts to stick at the end of November signaling the start of the long winter. The roads can be icy, so anyone not used to winter driving should take extreme caution. Please be careful! The average temperature in November in Hokkaido is from 0-10°C (32-50°F). But buildings are typically kept very warm. In many cases, the temperature outside will be in the single digits, but inside it will be kept at around 25°C (77°F). Because there is such a big difference between the indoor and outdoor temperatures it is best to dress in layers. 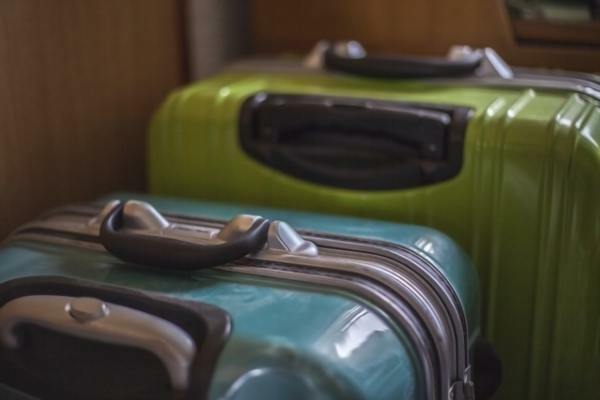 If your trip is going to center around Sapporo and other cities, then you will be able to buy extra clothing as needed, so you don’t need to worry too much about what you bring. The thing that people tend to forget the most is about keeping their feet warm. In November, the snow hasn’t yet begun to stick and the roads are not terribly icy, so for the average tour, winter footwear is not necessary. But toward the end of the month, sneakers and casual footwear just don’t cut it. Don’t forget to keep your feet warm while you are outside! Especially women who wear skirts should prepare thick stockings as part of their ensemble. How was it? Hokkaido doesn’t have many big events in November, but the season is great for in-season gourmet and bathing at onsen (hot springs). With the “Sapporo White Illuminations” and other illumination displays across Hokkaido that start around mid-November, you can get a little head start on your Christmas cheer! We wholeheartedly encourage you to experience Hokkaido during the quiet season before its harsh winter begins.